A specific challenge for Europe is the completion of the Single Market, and just as importantly getting entrepreneurs, businesses and organisations to think cross-border and develop partnerships and projects across Europe which will work towards creating the culture change of manufacturing and trading within the borders of Europe itself. This will support growth, jobs, innovation and investment potential. Knowledge and technology transfer mechanisms, higher education and industry collaboration must be showcased as the way forward towards making the European Union a global leader, socially, environmentally and economically. The Small Business Act for Europe and the “Think Small First” (SME) principle, still requires a strong commitment in many Member States and falls short of what is required in a crisis. Greater access and participation of SMEs in EU projects and public procurement, with open markets which support the growth of entrepreneurs must be addressed. Support for interactive environments can be created using incubators, clusters, science and technology parks, and partnerships with academia. 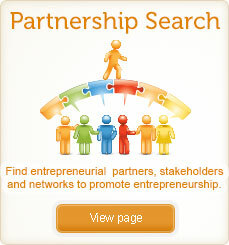 This could include an EU ONE-STOP-SHOP source of information for entrepreneurship in all sectors. Council adoption of the EU SME Company Statute, supports the single market project and makes cross border operations for SMEs easier. 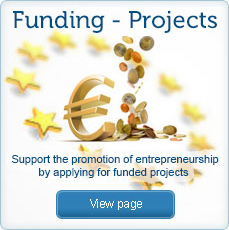 This project, issued as an EESC initiative, creates a European identity for new entrepreneurs. Increasing awareness and greater support for Erasmus for Young Entrepreneurs . Solutions need to be found to attract a greater number of host companies and recognise their contribution for real impact. 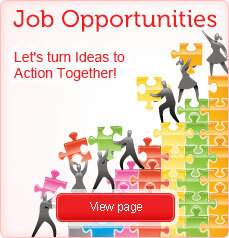 This could include a “European Entrepreneurs’ Award”, an EU Brand Mark or participation in high visibility opportunities. Skills Accreditation for Entrepreneurs, unlike workers, can rarely be undertaken and are unrecognised by society for the contribution made. Let us know if you consider your activity to be European or single-country. By assessing your views, we can help make change happen.